Golf is in the rough after a spiralling number of club closures, The Sunday Post can reveal. High membership costs, new drink drive limits and the temptation to sell off greens to housing developers are all threatening once thriving grass roots clubs. The latest statistics show overall membership in Scotland has dropped by 17% since 2004, while in England participation has also plummeted. This is despite the hosting of the Ryder Cup bringing huge prestige and positive exposure to the game. The slump has led to warnings the glory days of high membership are “never coming back” and golf clubs must do more to attract fresh blood. 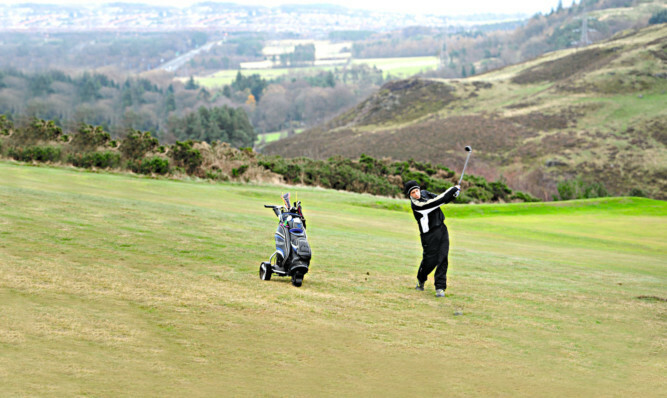 Andy Salmon, the Scottish Golf Union’s (SGU) development manager, said clubs are struggling. Last month Castle Park Golf Club in Gifford, East Lothian, informed its 350 members the 18 hole facility would be closing for good. The owners, who are due to retire, had received an offer to sell up, with the course reverting to farmland. It was the fourth course to close recently. In September 2013, Lothianburn in Edinburgh shut after membership levels plummeted from 800 to less then 300 in just three years. Two years earlier nearby Torphon Hill club in the Capital also closed, while Whitemoss, near Perth, has reverted back to farmland. Mr Salmon added: “The leisure industry is a competitive one. The latest research tells us there are golfers out there who have lapsed and would be willing to come back. But, there has to be value there. And it’s not just about cash. It’s about how the customer feels about the whole experience. According to the SGU, which represents nearly 600 golf clubs, the biggest drop has been among women members 29% since 2003. Overall membership is declining at about 3% a year. “What both these figures tell us is we have to get a lot better at giving the customer what they want,” added Mr Salmon. Clubs across the UK are now looking to diversify, with more than 50 courses now offering the hybrid sport of footgolf. Participants complete a round obeying the same rules as golf, but negotiate each hole with a football. The perilous situation is much the same south of the border. According to England Golf, club membership dropped 20% between 2004 and 2013, from 882,184 to 707,424. The decline resulted in Sport England taking away £496,000 in funding from England Golf Partnership, a link-up between England Golf and the Professional Golfers’ Association. However, England Golf Chief Executive David Joy said: “The indications are the downward trend is slowing, which is very heartening. “It provides great encouragement to those who care about the game and who are working so hard at club, county and national level. THE lowering of the drink drive limit in Scotland has also taken its toll on the financial viability of golf clubs. On December 5, new legislation imposed by the Scottish Government resulted in a dramatic reduction in alcohol sales at the 19th hole. Fearful one drink could put them over the new 50mg per 100ml of blood limit, many golfers have simply decided not to take the risk of having a tipple after their round. The new lower limit forced the Crail Golfing Society in the East Neuk of Fife to organise a members’ tasting session of low and non-alcoholic beers to determine which varieties they should stock. The Scottish Licensed Trade Association has described the new law as a “game-changer” that will have a bigger impact than the smoking ban. The drop in golf club memberships is a reflection of the changing place that golf now has in society. All these figures point to a sport in decline, but I don’t see it that way. It’s just that affiliation to a club and the various golfing unions is the easiest way to count the number of golfers. A round of golf does take a long time and it’s very difficult for a man or woman to give up six hours on a Saturday or Sunday, especially if they have a family. Because of that, people don’t want to commit to joining a club. If they don’t have the time, then it is not worth the money. But these people are not throwing their golf clubs away. They are maybe playing a handful of times a year with friends who are in a similar situation. They can take advantage of discounted offers or play at public courses. They can also go to the driving range. Golf has to recognise this shifting trend and adapt, especially as regards the time it takes to play 18 holes. That must change five hours is far too long.